Business Model 101 returns on February 12 and March 3, 2018! This workshop is a prerequisite for our Preflight program and maps out your idea on a simple-to-use one plage plan. If you have been thinking about a project or a product for a long time, this is a great tool to explore your idea with fresh eyes and focus on clear next steps. In just a few weeks, a busload of members (from students to founders) will take off for a weekend of skiing at Kicking Horse. Lauren, our resident ski expert and Community Manager, does a tonne of work in her free time coordinating all of the extra details that make a trip like this special. You might be asking yourself "how on earth does a ski weekend in the mountains remotely support tech entrepreneurship and innovation?" Fair point, it might seem that some of the extras feel unnecessary - the coffee sessions, socials, Summer BBQs, t-shirts for toddlers or onesies for new babies, Christmas parties and pizza (so much pizza). These activities are vital for our startup community to thrive and grow. It's so much more than just bringing people together for networking. Tech entrepreneurship is hard. Intense focus can drive your product forward quickly, but it can also be incredibly isolating. The Jo Cox Commission issued a report in the UK about the crushing effects of loneliness and the pervasiveness of its hold in modern society. The study found that more than 9 million adults in the UK are either always or often lonely, and 35% of men feel lonely at least once a week. All of the extras aren't extras at all. They are the foundation for making sure that our community is healthy, sustainable and poised for growth. We're currently accepting applications for our next session beginning on March 1st. Want to learn more? Book an info meeting with Shay. Last week, I had the chance to chat with Jolene Poulin, one of our student members. I'm excited for her to share a little bit more about her studies. Jo was in our 2017 Summer Student Program that includes our Preflight program. In this program, we deep-dive into topics like customer validation, minimum viable product and how to tell your story to customers & investors. Jo jumped into the startup community and takes advantage of opportunities to connect with members and startup teams at all kinds of events, not just ones for students. It's great having her at our Member Coffee, Speaker Series, and Hack Days to show other students the ropes and welcome even more new faces into the fold. Alternating between Edmonton and Calgary each year, AccelerateAB is the province’s annual flagship event that brings together leaders, investors, influencers and supporters of Alberta’s fast-growing startup community, with the goal of leveraging the success of the next generation of technology entrepreneurs across the province. 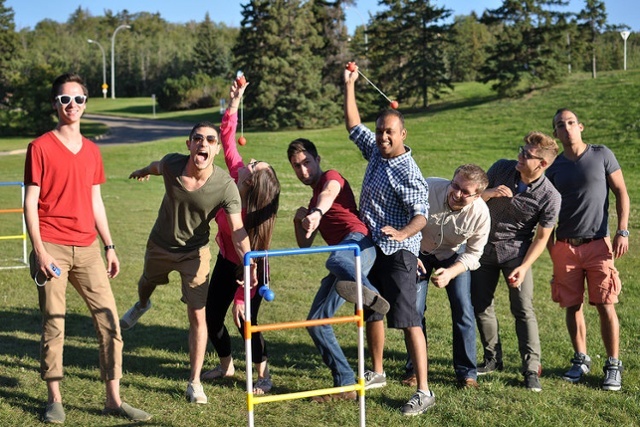 AccelerateAB celebrates the best of Alberta’s technology and supports the startup ecosystem. 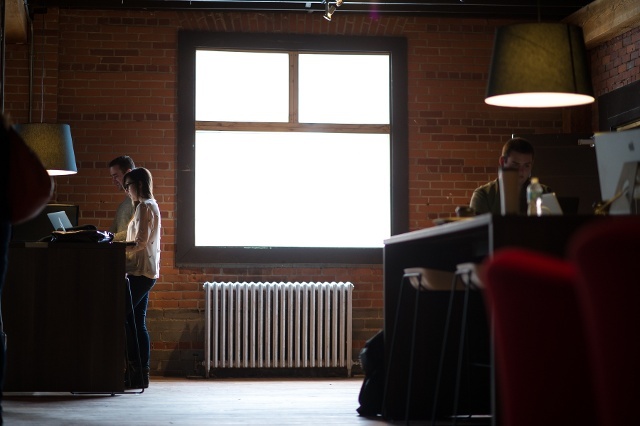 It’s backed by some of the most high-profile and successful leaders in the industry – and spearheaded by The A100, a member-driven pool of Alberta’s most successful technology entrepreneurs. AccelerateAB is all about creating collisions between early-stage and late-stage startups, angel investors, venture capitalists, service providers, government agencies, and more. If you're a student, keep an eye out for us on campus this month! We're out-and-about all the time for class chats, coffee & doughnut sessions, and code clubs. Grab your ticket for just $35 + check out the great video our friend Donovan put together to help us celebrate!